“The Irish Australian Chamber of Commerce provides members a network of support and a platform to further business objectives (IACC, 2017)”. I believe I am living proof of this aim with the work I am doing in the Education, Health and Research sectors. I am currently employed as a Lecturer in Occupational Therapy at the Australian Catholic University, Melbourne. This is a National course which involves me teaching students across three campuses in Melbourne, Sydney and Brisbane. In this role I am supporting the next generation of OT’s foster their skills they require to be effective OT’s in the ever changing healthcare system. In addition to this I am also the ACU Victorian Professional Practice Coordinator for the Occupational Therapy course. This position involves networking and negotiating with Health Care Agencies across Victoria for the procurement of Professional Practice placements. I commenced in this role in January and already to date I have secured additional partnerships. To further build these networks, I have completed educational workshops for student supervisors which illustrates my focus on the importance of quality initiatives to sustain collaborations. I am also continuing to increase my profile within the research field. In October last year, I completed my Professional Doctorate (PhD) of Clinical Sciences in Occupational Therapy (graduating in May this year). My research explored the “conceptions of occupational therapists in addressing sexuality from an occupational perspective”. To date I have submitted an article for publication to the Australian Occupational Therapy Journal and awaiting response from this. I have also presented this research at state and national conferences. In October/November this year I will be presenting the research findings on an International scale, in Taiwan at the 1st Asian Pacific Occupational Therapy Conference and in Northern Ireland at the University of Ulster. I am extremely proud to return to the University of Ulster as this is where I obtained my undergraduate occupational therapy degree. 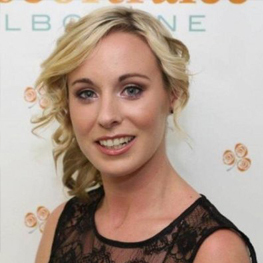 On a personal level I have also represented the Melbourne Australian/Irish community in the Rose of Tralee in 2012 during this time I had the opportunity to develop many partnerships with organisations both here in Melbourne and Ireland, if I was successful in achieving this award I would use the skills I developed during my reign as the rose to further build partnerships within the health and educations sectors both here in Australia and Ireland.